Derma-Aesthetic and Laser Center operate under the slogan "reveal the beauty within," to treat a range of cosmetic concerns. The latest FDA-approved devices are used to diminish the appearance of hair, wrinkles, broken facial capillaries, and spider veins on legs. 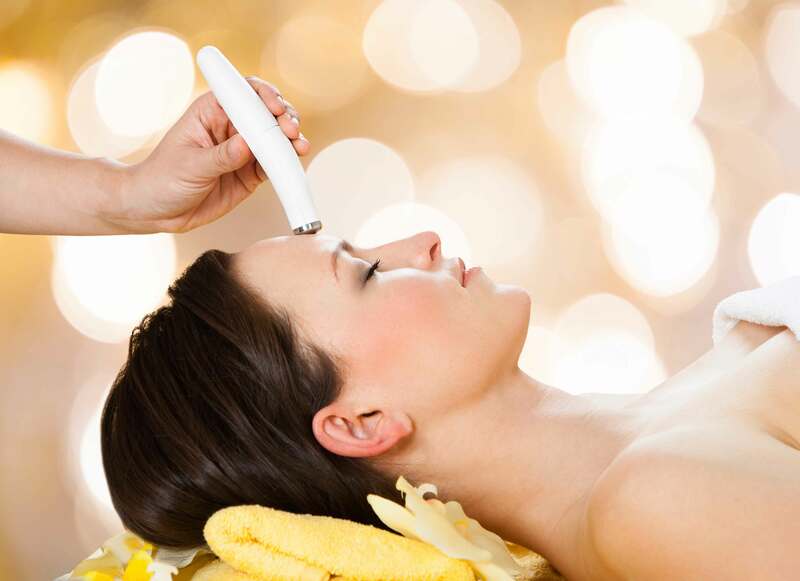 The center also complements its beauty-enhancing treatments such as facial peels, facial fillers and permanent makeup with skincare products that work to smooth and rejuvenate the skin. Is dedicated to helping women look and feel beautiful from the inside out. The practice opened in August 2004 and since then has sought to enhance the beauty and wellbeing of any client that walks through their doors. The center believes that outer beauty reflects the inner beauty within. 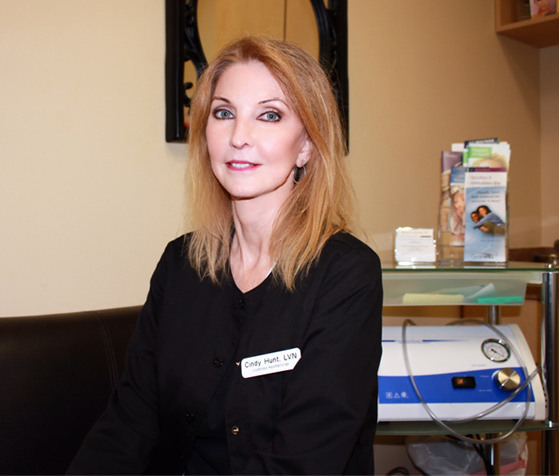 Led by licensed aesthetician and vocational nurse Cindy Hunt, the clinic’s laser specialists and aestheticians are equally committed to "revealing the beauty within” when treating cosmetic concerns of patients. As a woman, Hunt understands firsthand the self-consciousness that stems from society-imposed, superficial merit. Because of this, she strives to help those with low self-esteem by providing cosmetic options to alleviate the pressure of having one’s self-appraisal based solely on their physical characteristics. With simple remedies in place, clients can feel confident and beautiful after a cosmetic session. See our hours and location? I’ve had nothing but amazing service here. Moriah is extremely friendly and very knowledgeable. They are located in a nice clean doctors office. Cindy is wonderful and eased me into the tattoo removal process (and little bit of discomfort). She’s very personable and knowledgeable. Would recommend her to anyone! Thank you Cindy! You’ve always make it quick and as less painful as possible! I will highly recommend you to others who are wanting tattoos removed! I couldn’t possibly be more thrilled with finding Cindy!! She is the sweetest, most kind lady I’ve ever met. She made it as quick and painless as possible. I’ve considered going to others in the past, but never felt confident enough in the individuals and just kept this terrible daily reminder on my arm for so many years.. now with Cindy, I can finally rest assured those dreaded daily reminders will soon be a thing of the past. I recommend Cindy to EVERYONE!!!!! You will be SO glad you went! My pain at its highest so far has been a 1.. not even enough to take a Tylenol. I am eagerly awaiting my next 6 weeks until next session!! As painful as people may think this is…if you can take the pain of a tattoo you can take the pain of the removal. Mariah is great at explaining the process and setting expectations !! I’m on 2 of 6 treatments, a whole 30 seconds for 3in tattoo. Sanitary setting and overall great experience! Plus you can’t beat the price or service!! Thanks, Cindy & Mariah!! Cindy at Derma-Aesthetic was extremely good. She made me feel totally relaxed. She is a true professional. I will definitely be going back. Cindy is awesome. I could not wear a short skirt for a couple of decades, but after going to her there were no spider vains at all. Thanks to Cindy. Cindy could not have been any nicer. Extremely friendly, made me feel relaxed. Beautiful office and fantastic treatment. Professional and knowledgeable. Cindy was able to remove my tattoo in 6 sessions when I had previously had 16 sessions with someone else to no avail. She also reduced the scarring I had from my previous treatments. Cindy is the best and I highly recommend her!